It all starts out with two foam core boards that I got at my local dollar store. Depending on how many people you have that will be playing, you may only need one board. 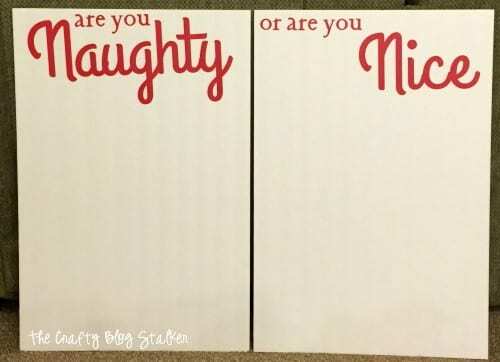 I cut the Naughty or Nice title out on my Cricut Explore using Cranberry Vinyl. 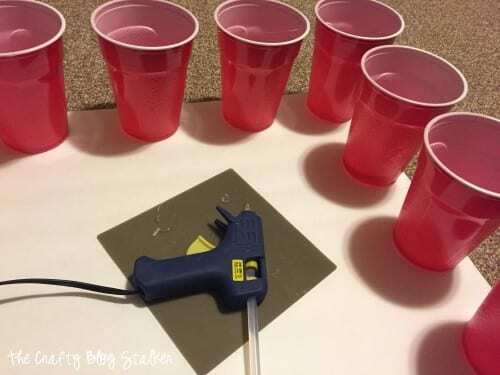 I used red plastic cups as the cylinders and simply hot glued the base of them to my foam core board. I found I could fit 25 cups per board. Here are what the boards look like when the cups are all glued down. Now we need something fun to put inside. I created 50 different slips of paper to put inside. 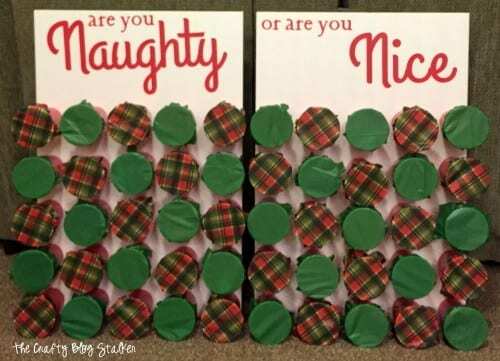 15 were Naughty and 35 were Nice and each gave an explanation of why they were naughty or nice. I made a google doc that you are more than welcome to use if you would like. Download here. *Many of these word strips include family jokes. To edit or create your own version with your own family/friend jokes, copy and paste the text into your own document and edit from there. Here are all of the little slips of paper. 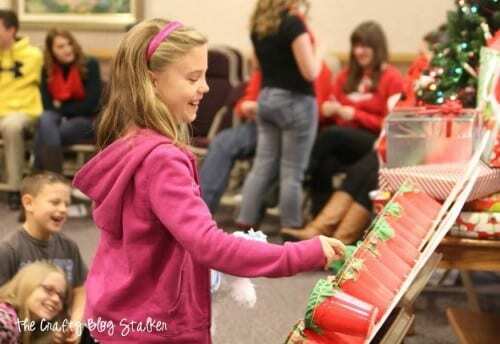 I got several little treats and goodies to put in the cups with the Naughty or Nice. 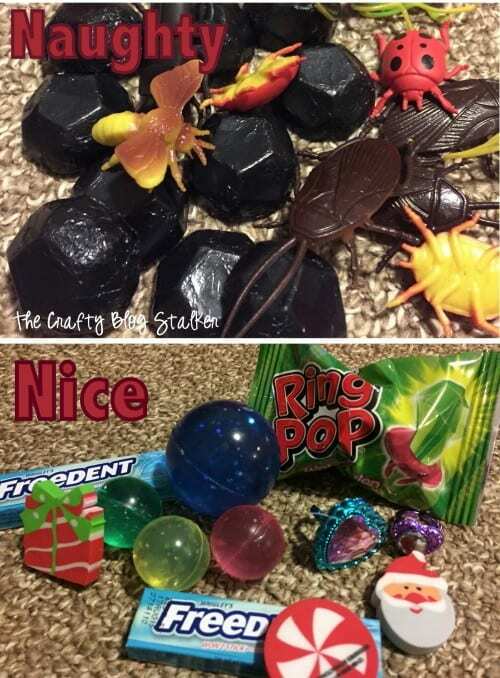 Fun things for Nice and bugs and candy coal for Naughty. 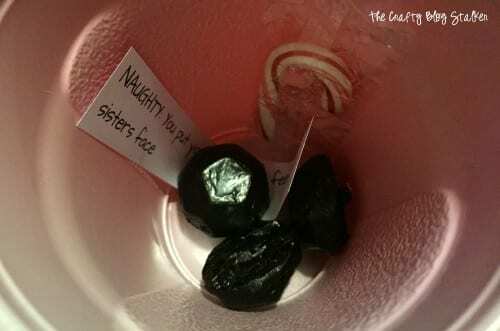 Here is what one of the Naughty cups looked like before it was covered. I added a mini candy cane to every cup so everyone got a little Christmas Cheer. To cover the cups I took some festive green and plaid tissue paper and lots of rubber bands. I cut squares of the tissue paper into about 4×4 inch squares, laid a piece on top of a cup and then put a rubber band over it to hold it in place. 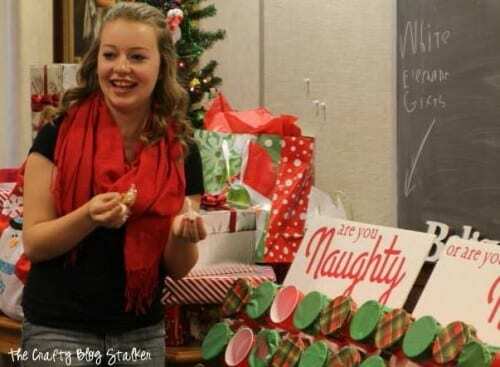 To play the game, I explained this was to help Santa decide if you were Naughty or Nice. Everyone took a turn coming up to the board, punching through the tissue paper, pull out what was inside and read the slip of paper aloud. 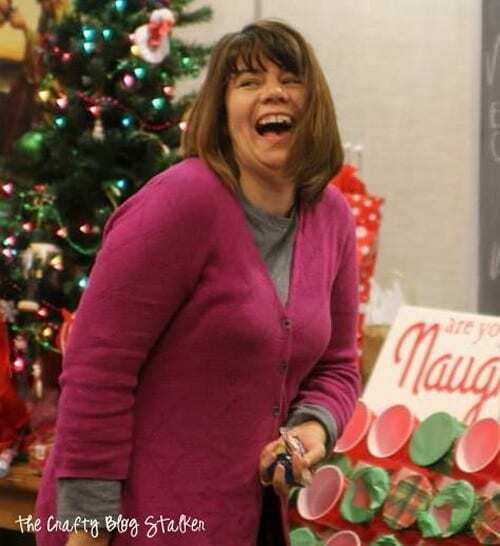 Every seemed to have a lot of fun and it was so fun to who was naughty and who was nice! 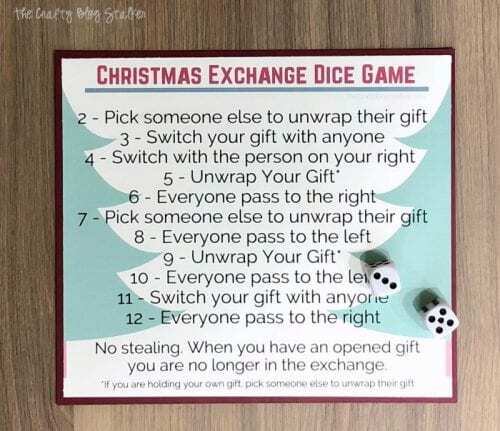 While this version of the game is a Christmas game I think it could easily be adapted to fit any theme of party. It really is great for a large crowd and a range of ages. What’s your favorite game to play with a big group of people? Share and leave a comment below! Want more DIY Game Ideas?